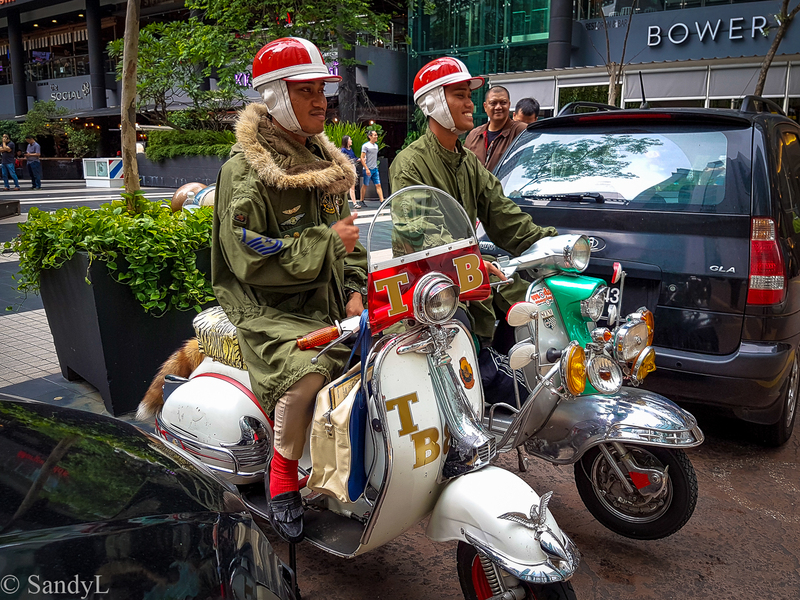 I went to KL looking for inspiration and found whimsy instead. On my way out of a photography workshop, a bit of fur caught my eye. 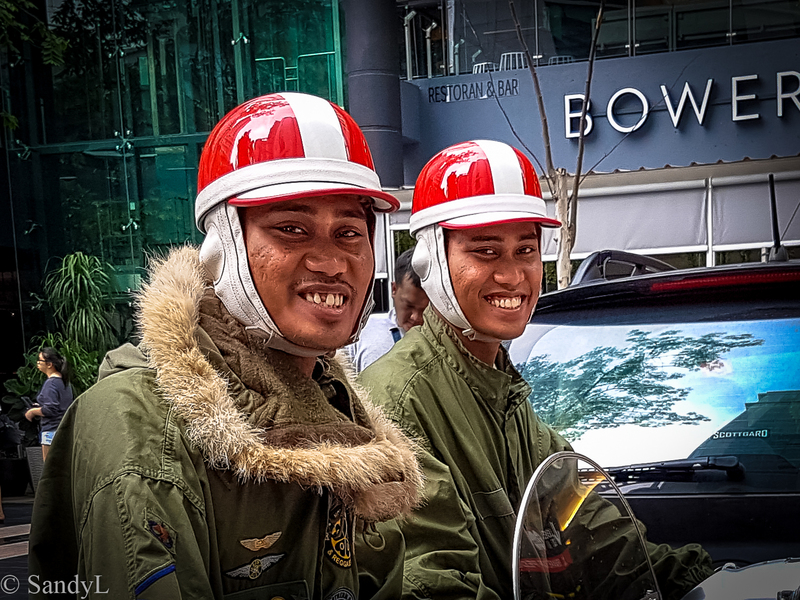 Delighted with the sight of these tricked out motor scooters, imagine my surprise when their owners showed up. Twin Brothers, you made my day ! Kuala Lumpur, Malaysia. May 2017. 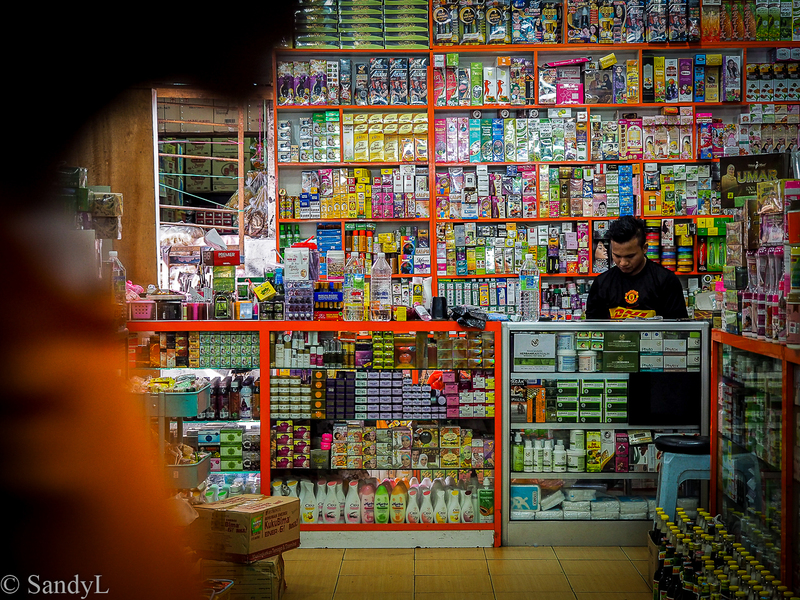 I took this shot at Chow Kit Market in Kuala Lumpur, Malaysia. It’s part of a series on local markets where I try to capture their look and feel. I had a simple intent of showing a dry goods shop, different from the standard shots of vegetables and meat. What caught my eye about this photo? Originally it was the orange color of his shirt. The eye-catch which connected the passer-by to the shelves in the shop. But then the color became lines and my eye followed the network of lines within lines, the boxes within boxes. Unconsciously, my eye was drawn to the pattern within the picture, the order imposed on this chaos of small things. But then my eye grew tired of straight lines. It pulled back to follow the curves. The dark slope of the shopkeeper hunched over the counter. The blurred profile of the passer-by. The orange color of his shirt. My first response to a Photo Challenge. But this program is Weekly. Maybe I’ll have the discipline to try it again. Exactly How would one smuggle in a piranha ? In a ziploc baggie of water ? Think about it – It’d be tricky with carry on. Maybe if you froze it first. I remember a biology experiment where we added ice cubes to fishes & they lived to pretty low temperatures. But those were guppies, not tropical piranhas .. Besides, Why would one want to smuggle a piranha ? Outside is a 35 degree tropical jungle, festering with tigers, snakes, crocodiles and viscous looking wild monkeys. There’s enough wildlife out there to stock a zoo. In the Metro-Toronto Zoo there’s an entire exhibit dedicated to the Malaysia-Indonesia region. It hits me like a truck. I am inside that exhibit. Were there piranhas in the exhibit ? Maybe that’s why we’re not allowed to smuggle them in.